Can we say the Christmas season is official here now? Well, yes, I did spend all last month reviewing Christmas novels, but now this gets serious people. You know what I mean…It’s time for Christmas shopping. I don’t think gift giving gets more serious than it does in my family. We are very studious about seeking out that “perfect” gift. Some members start shopping months in advance. We naturally taunt each other with vague references to what we might have under the Christmas tree. So in a family where things really do get serious, we’ve come up with some unique ideas. I’ll just give you my three all time favorites: One that can be customized. One for writers. One for readers. We’ve made “gift packs” tailored to specific books someone in the family requested. For instance, my sister wanted the next book in The Mysterious Benedict Society, so in addition to the book we filled a red bucket (a key component in the books) and filled it with clothing, jewelry, and items that related to the book. It was actually just as fun to put together as it was for her to receive and the idea can be customized to any book, movie, show, play, whatever you can think of. Both of these ideas simply need to be searched for on ebay or etsy, because there are multiple artists that make them. Vintage type writer key jewelry: Yep that’s all you’ve got to type to get an array of jewelry made from keys right off old typewriters. Bracelets, earrings, pendants, even hairpins. 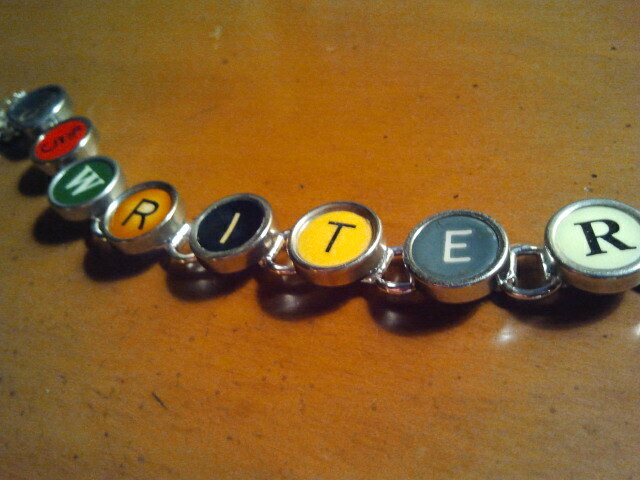 If you’ve got a writer on your list, these are awesome. 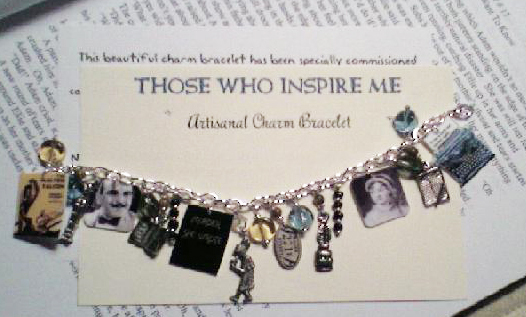 Customizable bracelets: One year my sister had a jewelry maker on etsy customize a bracelet by hand making charms for the bracelet based on my favorite book/movies. Amongst many charms I have a 221 B. Baker St. address plate, a picture of Hercule Poirot, and even the cover of the Maltese Falcon. For the reader who has a list of favorites, this idea is so perfect.